Our goal is to train champion individuals to excel in any situation through traditional study of Matsubayashi-Ryu karate. Mastin Dojo is a family-oriented environment and maintains small, intimate classes with top quality instruction to produce top quality students. 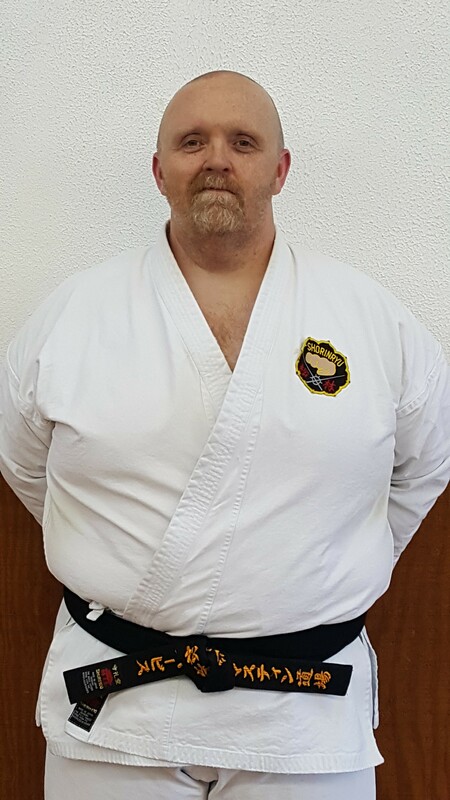 Scott Mastin Sensei, was promoted during his visit to Okinawa to the rank of Roku Dan (6th degree black belt) with a teaching title of Renshi. 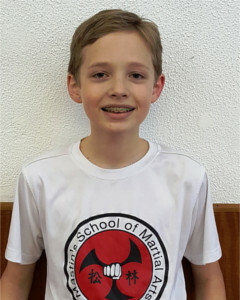 He became the youngest American to ever be awarded this rank by Soke Nagamine. 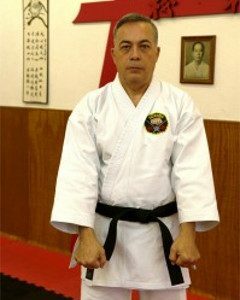 On the same trip in November 2010, he had the opportunity to teach at the Honbu dojo that was established by O’Sensei Shoshin Nagamine in 1953. This was a tremendous honor and a life changing experience. Mastin Sensei has made several trips to Okinawa to further his training. 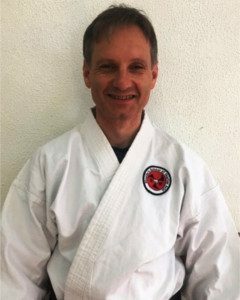 During the 2017 visit to Okinawa, Mastin Sensei participated in the promotion testing and was award the Rank of Nana Dan (7th degree blackbelt) with the title of Kyoshi. 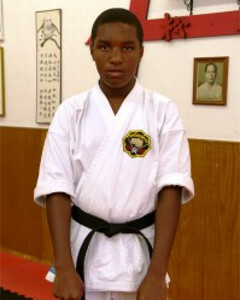 He was introduced to karate and martial arts at age 4. 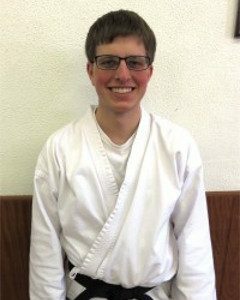 Mastin Sensei became more serious about his study of Matsubayashi-Ryu during his teenage years, and began teaching at age 21. 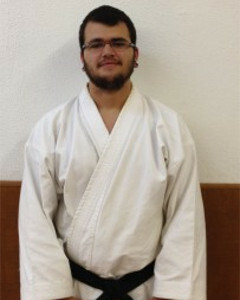 In addition to Matsubayashi-Ryu, Mastin Sensei is trained in Yamani Chinen-Ryu (Okinawan weapon arts) and Matsu Tai Chi. 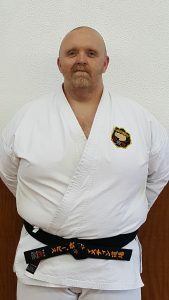 Mastin Sensei was a direct student under Soke Takayoshi Nagamine, and is licensed to teach by the World Matsubayashi-Ryu (Shorin-Ryu) Karate-Do Association . 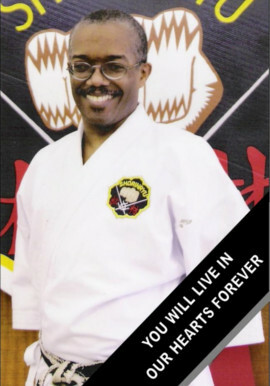 Mastin Sensei began teaching in the early 90’s and took over the Silverton dojo in 1996. 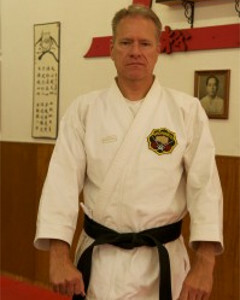 Mastin Sensei founded the Mastin Dojo in 1999. Mastin Sensei received all of his rank from Okinawa. His first and second Dan were reissued by Soke Nagamine. ( they originally came from a different Okinawan instructor). 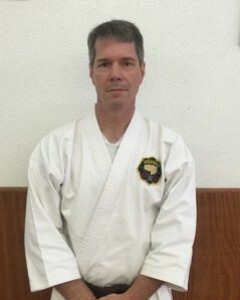 Nagamine Sensei promoted Mastin Sensei for the ranks of San Dan through Roku Dan with the title of Renshi. 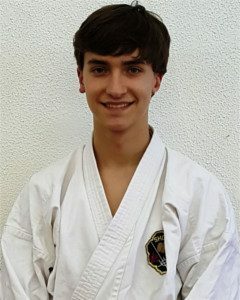 The latest rank of Nana Dan with title of Kyoshi was issued during his 2017 trip to Okinawa by the WMKA testing board. Even though Mastin Sensei still works during the day with his outside career. He still teaches many of the classes at the dojo. “Teaching and helping others is my passion” – “You must lead by example” – “Never ask your students to do something that you can not do yourself” are all statements that he tries to instill in all of his black-belts and instructors. 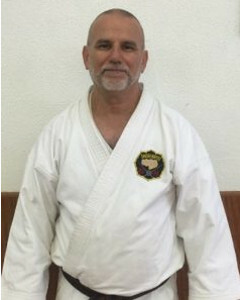 Mastin Sensei has written 4 books with criteria specific directions for each belt level. 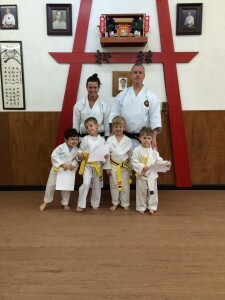 The instruction and books cover all age groups from the 4 year old Little Ninja Student to the Blackbelt Adult Students. Things covered are: stances, blocks, strikes (kicks, punches, elbows, and knees), 18 Traditional Kata, 7 Traditional Yakusoku kumites with all variations and advanced Yakusoku kumites, over 300 self defense holds, locks, grabs, throws, escapes, take-downs, Goal setting, fitness, stamina and endurance training and many other areas. 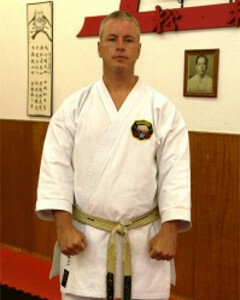 Sensei John Mitchell passed away in September of 2011. He is forever in our hearts. Sensei John Mitchell, was promoted to the rank of Godan (5th degree black belt) during his visit to Okinawa in November of 2010. He began his martial arts career at age 13 with the study of Moo Duk Kwan Taekwondo. 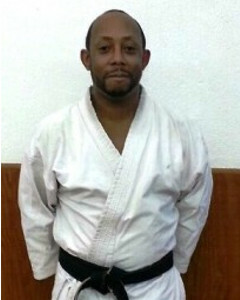 He began practicing Matsubayashi-Ryu karate-do over 25 years ago, and also trained in Aikido and Matsu Tai Chi. 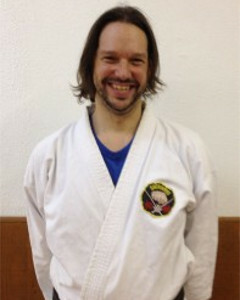 Sensei Mitchell had over 15 years of experience teaching Matsubayashi-Ryu, and had been a part of the dojo since 1996. On behalf of my family, I would like to thank you so very much for your remarks at the service for John. You helped us get through what was undoubtedly the most darkest day in our lives. As you console us, allow me to console you for the loss of your best friend. Your friendship meant the world to Johnny. He cherished every moment of it. When Johnny mentioned your name, it was always “My friend Scott” or “Me and my friend Scott.” And believe me he spoke of you often! 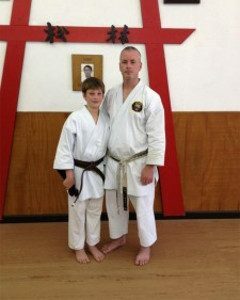 The immeasurable time he spent with you, your family and the students at the dojo was so gratifying to him. 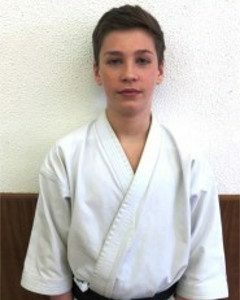 Your final tribute to John was sending your black belt into eternity with him. It was the ultimate final honor by a truly loyal friend and Sensei. We should all have a friend like my brother John had in you! Katelynn began participating in what used to be called the Mighty Mite Program at the age of 2. 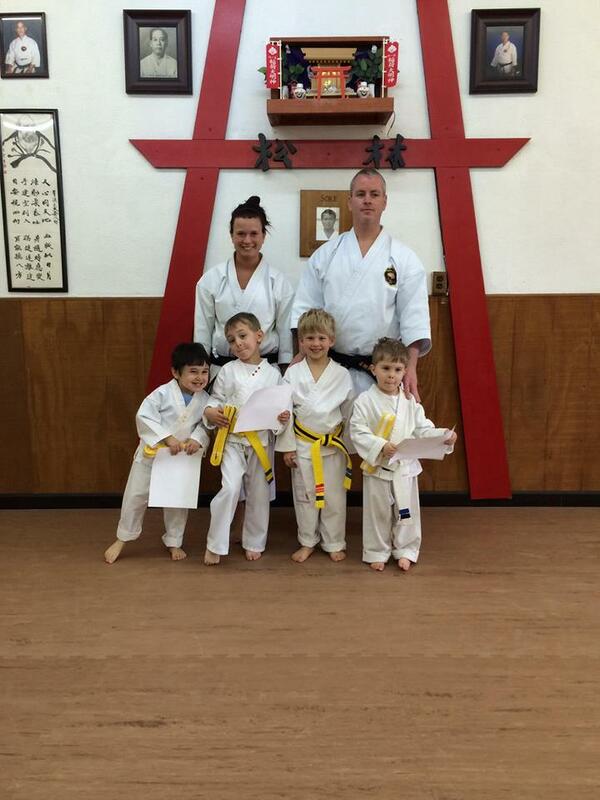 She tested with Mastin Sensei’s teacher before the age of 3 for her first belt. Since then, she has continuously trained in Karate. During her early teenage years she competed in karate tournaments. She won numerous Gold medal and National Championships. She was selected by the AAU to represent the United States in the tournament that was held in Japan. 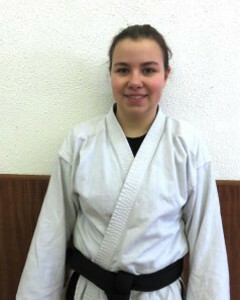 She was also the first member selected to the WTKA world karate team to represent the USA in Italy. Katelynn has been helping with classes or teaching classes for more than a decade. Katelynn assisted her father in multiple after school programs and the Anderson program. Katelynn now is the main instructor of the Little Ninja Program and also teaches the Junior / Adult classes on certain nights. 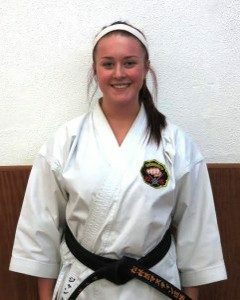 Kayla Mastin is Mastin Sensei’s youngest daughter. 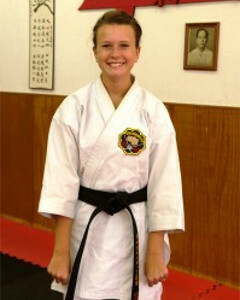 Kayla holds the rank of 2nd Dan, Blackbelt. 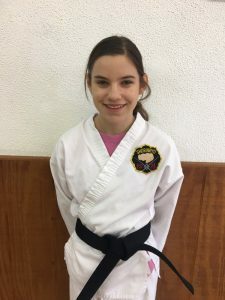 She has been training since the age of 5 years old. 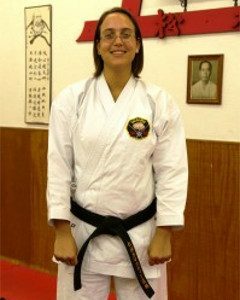 Kayla has been involved with karate for more than 15 years. In her younger years, she competed in many tournaments. Kayla won many Gold medals and is a multi year AAU National Champion. Sensei Mitchell used to coach Kayla and gave her the Nickname of Ichiban. Kayla assists with classes and is known for her patience and kindness. Our black belts perform a vital function, providing instruction, mentoring and support to the dojo and the lower ranking students. Below is a current listing of our active Black Belts that train on a consistent and weekly basis.